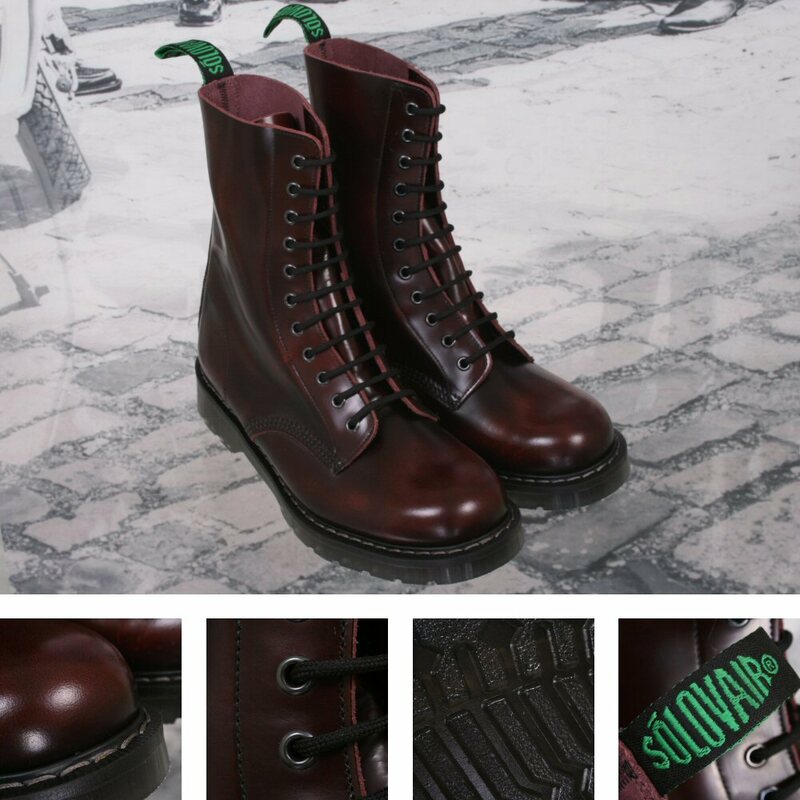 Burgundy Rub-Off Hi Shine 11-Eyelet Derby Boot – Black Sole Our 11-eyelet Derby Boot in hi-shine leather is Goodyear welted using Solovair’s renowned Soft Sole Suspension technology, which ensures comfort and durability. All our boots and shoes are handcrafted in our factory, NPS Shoes, located in Wollaston, Northamptonshire. Our Classic Collection Derby Boot is also available in Black Hi Shine and Oxblood Hi Shine upper leather finishes and a choice of sole colours. – Leather and synthetic lining materials – Micro Porous Cellulose insole with Antibacterial protection – Solovair suspension sole – Signature grey sole perimeter stitch – Goodyear welted construction – 100% Made in England.